Does your real estate investing leaves you scratching your head about taxes? 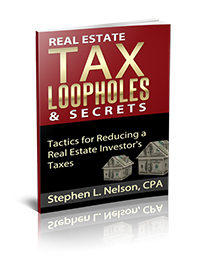 Consider downloading our "Real Estate Tax Loopholes & Secrets" e-book! Packed full of tax tips and tricks, this $40, roughly 85-page e-book should help you save thousands of dollars annually in income taxes. Chapter 1 explains how to measure taxable income or losses, forecast cash flows, and calculate depreciation (including dealing with the new bonus depreciation available for 2018 tax returns and cost segregation). Chapter 2 provides the thorough coverage of the Section 212 statute for deductions and also the tangible property regulations for determining what counts as repairs and maintenance and what counts as capital improvements. Chapter 3 presents a simple-to-understand discussion of how the passive loss limitation rules delay when you deduct real estate losses-and then discussions of the two approaches you have for sidestepping the limitations; the active real estate investor label and the real estate profession designation. Chapter 2 also discusses how the IRS shoots down the real estate professional designation for careless investors. 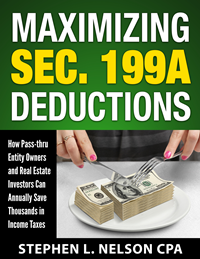 Chapter 4 includes a detailed discussion of how the new Section 199A deduction potentially saves real estate investors from paying tax on the last 20% of their real estate profits and also a review of the "trade or business" requirement investors need to meet in order to take the Section 199A deduction. Chapter 5 covers how the net investment income tax applies to real estate investors and how careful investors can often avoid the tax on net rental income and on the sale of properties. Chapter 6 steps readers through the way gains and losses on a sale or exchange get taxed. This chapter also discusses how to minimize gains on sale and how to attempt converting ordinary gains into capital gains. Chapter 7 reviews the way that a second home can produce tax savings and possibly tax free income. Chapter 8 describes when principal-residence-to-rental conversions make sense-and when they become a terribly costly mistake. Chapter 9 explains how one uses IRA or 401(k) for real estate investment-and also discusses when this approach to real estate only increases your costs, investment risks, and taxes. 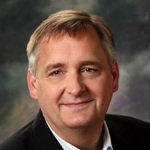 Chapter 10 reviews why you may want to use an LLC for real estate, why you almost never want to use a traditional corporation for real estate, and why flippers may want to consider using an S corporation. Appendix A describes how investors calculate and use income capitalization rates to assess rental properties. Appendix B presents a simplified approach to analyzing vacation home purchases. Appendix C explains how to calculate internal rates of return and net present values (IRRs and NPVs) for real estate investments so as to get a sophisticated and powerful measure of a property's potential profits. Appendix D describes with some trepidation a popular tax savings gambit that some small business owners use. Appendix E explains how some investors can use real estate as a highly-tax-efficient way to save for retirement. In short, Real Estate Tax Loopholes & Secrets, gives you the inside scoop on how successful and smart real estate investors play the real estate investment game in a way that dramatically reduces the taxes they pay. Copyright 2005 - 2017 by SCorporationsExplained.com and Stephen L. Nelson, Inc. All rights reserved.